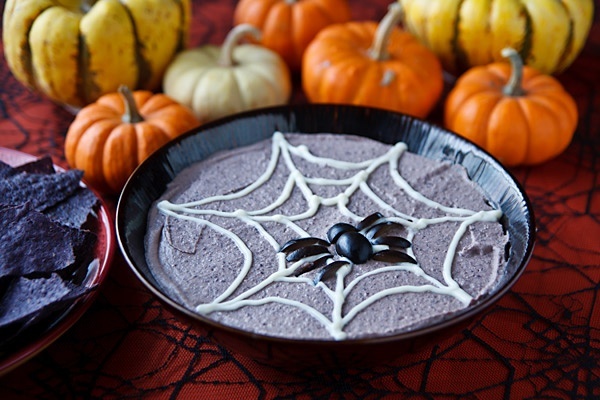 When you do not feel like cooking but your friends are on your doorstep, you can surprise them with this 10-minute spooky hummus. Serve some tortilla chips or chop some veggies into chunky sticks. Even though black hummus requires a bit more complicated ingredients, you can always make some swaps. Check out the recipe here.